CBD Oil | Kratom | Hookahs | Loose Tobacco | & more! Please visit us on YELP for all piercing needs! Up In Smoke stocks the largest selection of smoking products and accessories in the area, ensuring you have access to the right supplies for the best possible smoking experience. Come check out our huge selection of custom glassware, tobacco products, Kratom and CBD oils, vaping products, accessories and more. We’re here to answer any questions you may have for us! We strive to carry a great selection of one-of-a-kind glass products, made by local artisans. No two are alike, giving you the opportunity to own something unique! The bulk of our inventory consists of American-made products. We take pride in bringing you products that are tried, true and trusted. Want more information about any of the products we sell? Just ask! We love to answer questions and always go out of our way to be helpful. We advocate the safe use of all the products we sell and will always make sure you’re getting the right items for you. Our store has been a fixture in the local Greenville, SC community since 2002, bringing you great products for over a decade. If you’re the type of person who enjoys kicking back with a good smoke and relaxing to the fullest, Up In Smoke welcomes you! As your complete smoke shop in Greenville, SC, we stock absolutely everything you need for the optimal smoke. 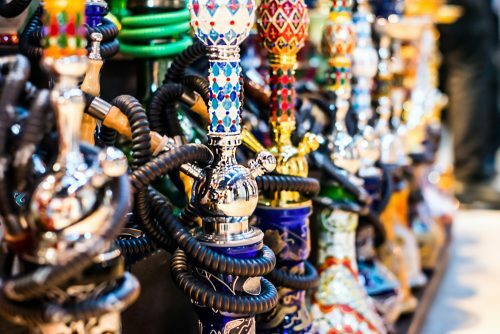 Come to us for all of your consumables, as well as equipment—including artisan-made glass products, vaporizers, water pipes and much, much more! From loose tobacco and e-liquids, to Kratom and CBD oils, we welcome enthusiasts of all types and strive to make sure you’re getting the best possible products. New to the culture? Stop by our tobacco shop in Greenville, SC to get the inside scoop on any of the products we sell. We’ll gladly talk with you about your interests and any products you might be looking at, providing expert advice and recommendations to make sure your foray into the culture is the best it can be. Or, if you’re interested in trying something new, we can talk with you about your likes and dislikes to make a recommendation we think you’ll love. Whether you’re just stopping in for a new piece or want to stock up on some smoking accessories, Up In Smoke has what you’re looking for. Visit us today and we promise you’ll leave happy, ready for a great smoke session! Whether you’re a seasoned smoker or are looking to try something new for the first time, we welcome you! Stop by, ask questions and let us provide you with the very best products.